Runaway is an action drama. From beginning to end there is constant excitement with comedy and romance as the only breaks to the action. The drama portion of the story is so realistic that Runaway had been endorsed by the National Runaway Safeline in their school reading curriculum in schools throughout the country, which was unprecedented because it is a fiction action novel. The story starts off with two runaways leaving their violent and broken homes, with plans to survive with a long lasting friendship in New York City. Unfortunately, for the characters it does not go as planned and one of those characters finds himself very alone. He is soon adopted by a local street army whose toughest and most interesting member is a young female. As their relationship develops and grows so does the male character’s relationship with his newfound gang, giving him new talents and abilities. All of the main characters begin to work on their personal vendettas and tie up their own loose ends, which become the entire city’s vendettas and business. Most readers will love Runaway because they will care about and relate to the characters that are all very real to how young adults are like today. 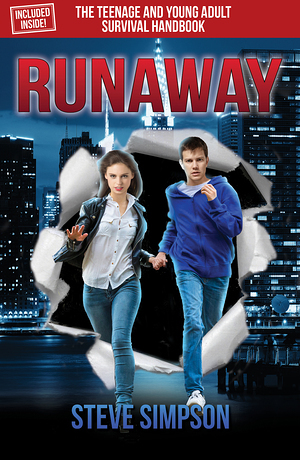 Runaway keeps the adrenaline up with its innocent and witty humor and constant excitement. Super adventure, great drama, fresh young romance, a fantastic cant-put-down action story to keep you at the edge of your seat. Just as the characters in Runaway live through and talk about their different abuses and problems The Teenage and Young Adult Survival Handbook directly deals with many of the important issues young people have to face today such as suicide, being children of alcoholics, suicide, child abuse, running away, neglect, self-esteem and bullying. The Teenage and Young Adult Survival Handbook lets its readers know they are not the only one with these problems, gives suggestions on how to cope and where to get help, and gives hope.